Welcome to Ricki's TRIGUN PLANET!!! is to bring his beliefs of "Love and Peace" to one city at a time. This man...is Vash the Stampede! Welcome to Ricki's Trigun Planet! Since 2003 Trigun lovers like yourself have made this website what it is today! This site houses the newest information about Trigun, some of the old classics, and also information about the creator Nightow, about the anime and manga series, fanfiction & art from you, an extensive library of fun facts, and a link to the Facebook Page where you can share your experiences with the series. RTP is constantly growing, so if you have any suggestions, comments, additions, or critiques, please email me! Trigun: Badlands Rumble Movie Information! - (Updated: 09/24/10) Movie Updates! Guest Fan Fiction [05/10/06] Stories include: Sailor Lilith-chan's "Plants in the City", Azalea's "Trigun: A Point of View Trilogy, Dragon Lord's "Pain Reality", Tony-kun's "Echo". The "unofficial" sequel to deleria's "Double Helix" - art gallery includes fan extras and drawings inspired by the story! That Girl Don't Think Right [9/06/05] A Collection of Milly Inspired Short-Stories. Anime Central 2005 - Pictures, comics and ramblings! MillyThompson@Fanfiction.net - I post my newest stories here! please do not copy anything here without their permission! I don't claim their artwork as my own, I am merely borrowing from the masters! Drop me a line if you'd like to borrow anything here - I'm always willing to share if you ask! Plant Feathers - a Tumblr account that posts Trigun stuff I just found. Trigun Maximum Fanclub - DeviantART - Newest DeviantART club, still active in 2011 - post your fanfiction and fanart here! 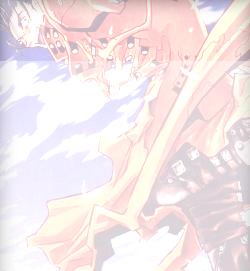 Chilly's Trigun Forum - just starting up, another forum I've joined in order to spread the Trigun joy!! 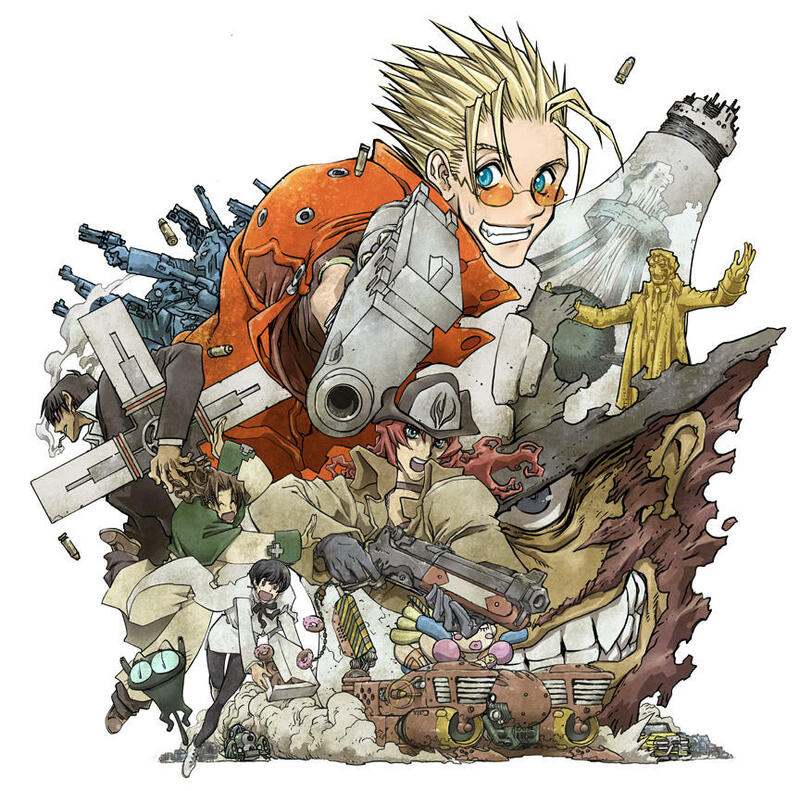 Trigun World - Love and Peace! - All sorts of interesting stuff here. 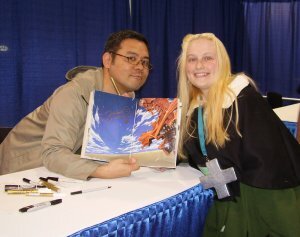 Thunk's Trigun Page - She was gracious enough to put one of my pictures up! GKWorld - a great place to get random Trigun stuff - awesome cheap posters, plushies and model kits! 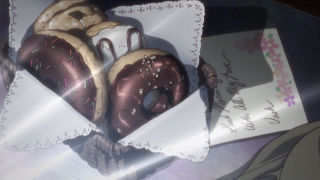 Over 100,000 Donuts eaten since June 12, 2003!